Jennifer M. Hoekstra is a partner with Aylstock, Witkin, Kreis & Overholtz, PLLC. A native of Saint Paul, Minnesota, Ms. Hoekstra boasts an impressive academic and professional record, including graduation from two of the nation’s top schools. She earned her earned Bachelor of Arts in Environmental Science from Columbia College, Columbia University in the City of New York. She relocated to Louisiana to attend Tulane Law School, where she earned her J.D. while also completing a certificate in Environmental Law. During her law school career, she spent a semester studying at the University of Wisconsin School of Law and visited on their International Law Journal as a Junior Member during her Hurricane Katrina evacuation semester. While in law school, Ms. Hoekstra served as Executive Treasurer of the Student Bar Association and as a Graduate Student Association delegate. She was an active member of the Technology and Intellectual Property Society and the Environmental Law Society. 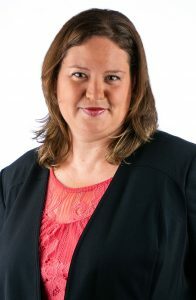 Additionally, Ms. Hoekstra was a member of the Tulane Journal of Technology and Intellectual Property, for which she served as Articles Editor. During law school, Ms. Hoekstra clerked for Judge James J. Brady, served as a Research Assistant at the Louisiana Supreme Court Law Library as well as a student attorney for the Tulane Environmental Law Clinic. Ms. Hoekstra has been involved in complex litigation cases of all forms since 2007. Jennifer was inspired to pursue her law degree while working as a Litigation Assistant at Cravath Swaine and Moore LLP in New York. Ms. Hoekstra has earned a solid reputation as a skilled writer and researcher, and plays an integral role in several complex litigation cases, practicing in the areas of Pharmaceutical Mass Torts, Defective Device Mass Torts, and other complex litigation. Ms. Hoekstra has been involved in all aspects of MDL litigation involving Actos, Genetically Modified Rice, DePuy ASR, DePuy Pinnacle, Biomet, Plavix, NuvaRing, the BP Oil Spill, and other defective drugs or devices. She is currently a member of the DePuy Pinnacle Law and Briefing Committee as well as a member of the Biomet II PSC. Jennifer was central to the successful outcome in bellwether trials in the Genetically Modified Rice, Actos and DePuy Pinnacle Hip MDLs with more than $11 Billion in trial verdicts resulting from those cases. She is licensed to practice before all Louisiana state and federal courts and the U.S. District Courts for the Northern District of Texas and Eastern District of Missouri as well as the 5th and 8th Circuit Courts. She is a member of the American Bar Association, the Louisiana Bar Association, the Acadiana Federal Bar Association, the Alexandria Louisiana Bar Association and the American Association for Justice. She is a member of Women En Mass and was also a member of the inaugural 2018 Board of Directors for Emerge Louisiana.